"The move to weekly green bin collection just makes sense," explained Mayor Jim Watson. "More and more residents are using their green bins for their organic waste, like food scraps. Weekly pickup should encourage more residents to participate in this important program." "Providing green bin collection on a weekly basis throughout the year is in keeping with Council’s decision to find long-term solutions to our waste," said Councillor Maria McRae, Chair of the Environment Committee. "This will go a long way in extending the life of the City’s landfills and result in significant savings." 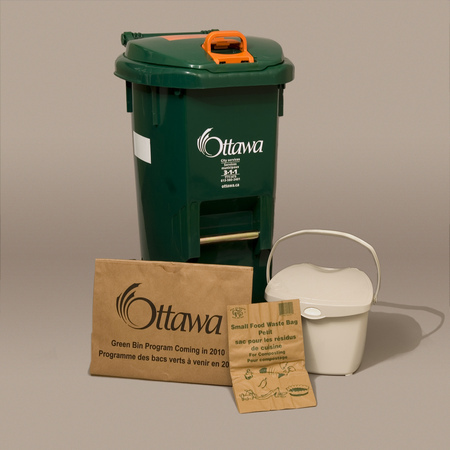 For the latest garbage and recycling information, follow us on Twitter @ottawacity or via the hashtag #ottawawaste. You can also find out more at ottawa.ca/recycle.